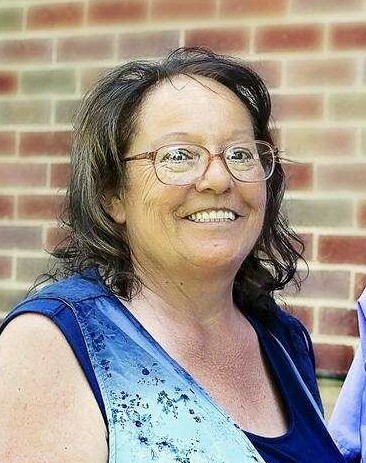 Marlene F. Shaffer, 62, of Youngstown passed away Friday morning October 19, 2018 at her home. She was born July 16, 1956 in Cleveland, Ohio a daughter of Daniel and Thelma (Steinbeiser) Pahel . She lived most of her life in the area. Marlene was a homemaker and a member of Gibson Heights Second Presbyterian Church in Youngstown. Besides her husband, James B. Shaffer, whom she married June 15, 1981, she leaves her eight children, James B. of Colorado Springs, CO, Elizabeth of Youngstown, Jeffrey of Colorado Springs, CO, Eric of Vienna, Cheryl of New Philadelphia, OH, Susan of Akron, Clarence of Youngstown, and Belinda of Youngstown; a brother Daniel of Youngstown, and two sisters, Vicki of Boardman, and Darlene of Dallas, Texas. She also leaves grandchildren, great-grandchildren, and great-great grandchildren totaling fifty-six people, as well as her very close childhood friend, Linda Cosari of Cleveland, Ohio. Marlene was preceded in death by her parents, and her brother, David Pahel. A funeral services will be held 11:00 a.m. Wednesday October 24, 2018 at the Gibson Heights Second Presbyterian Church in Youngstown with Pastor Leo Feher officiating. Friends may call from 5-8:00 p.m. Tuesday at the Davidson-Becker Funeral Home in Struthers, and from 10-10:45 a.m. Wednesday prior to the services at the church.